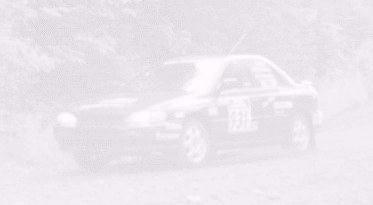 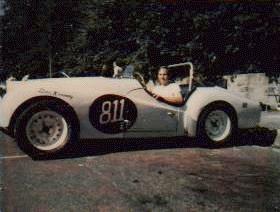 Don Kennedy behind the wheel. 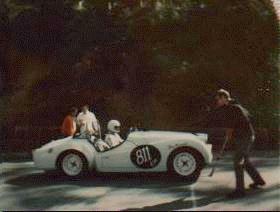 Don Kennedy on the start line. 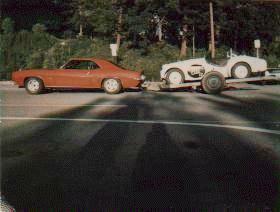 The '69 Z28 towing the TR3.